No system launch is perfect: bugs, glitches, missing features and misused gimmicks can plague even the best system. The PlayStation 3, despite having a relatively smooth launch, was still plagued with its fair share of problems; problems that could come back to haunt the PlayStation 4. The biggest issue the PlayStation 3 faced was a lack of units on the shelves at launch. This was due to a production issue, causing Sony to massively scale back the number of units by 75%. The cause? A delay in the manufacturing of the Blu-ray disc drive, a new technology at the time. It's unlikely the PlayStation 4 will run afoul of any production issues at launch as the technology inside the system is readily available and has been mass produced, in some capacity, for quite some time. Sony will have likely learned from the production problems with the PlayStation 3 as well and will make sure that plenty of PS4s are on store shelves. When gamers finally got their hands on the PlayStation 3, one of the most documented errors was a random disconnection of the SixAxis wireless controller from the console. Imagine playing your favorite game, getting ready to make a hard-to-land jump when suddenly the controller turns off, resulting in your character falling off the cliff instead. For many PS3 launch gamers, this scenario was a reality for more than a few gaming sessions. Eventually Sony rectified the problem, but will it rear its ugly head on the PlayStation 4? Absolutely not. At the launch of the PlayStation 3, wireless technology was still new ground for Sony; while competitors and other controller manufacturers had been making wireless controllers for awhile, the SixAxis was Sony's first wireless controller created in-house. Now that Sony has a full understanding on how this technology functions, you don't need to anticipate your DualShock 4 randomly turning off except when it needs a recharge. The PlayStation 3 also suffered from issues with the backwards compatibility as not all games were supported and, of those games that were supported, not all of them ran as perfectly as they should. This shouldn't be a problem for the PlayStation 4 at launch because the system doesn't offer any backwards compatibility at all. It's likely there will be issues if Sony implements the cloud-based compatibility it has hinted at, but this is expected because this will be a new direction for the company and no launch, whether its hardware or software, is without its problems. Not only did the PlayStation 3 suffer from issues with its compatibility feature, but it had issues with other hardware features as well. Some promised features, such as voice chat and the ability to download in the background, were not available at launch while other features, such as support for certain music formats and the Web browser, were not up to par. Could we see the same thing happen with the PlayStation 4? It's a possibility. If one of the promised features is experiencing issues, Sony would much rather delay that feature and ship the system rather than delay the console after announcing a date as history has shown us. While Sony does always add the feature back in at a later date, it can be disappointing not receiving all the promised features at launch especially if it is one you looked forward to. We can only hope that Sony is vigilant with testing and retesting all aspects of the PlayStation 4 so that all features are included at launch and these features are functioning to the best of their ability. While not a launch issue with the PlayStation 3 itself, many of the launch games were criticized as being gimmicky and not taking full advantage of the PlayStation 3 hardware, the same complaint leveled at the Vita as well. 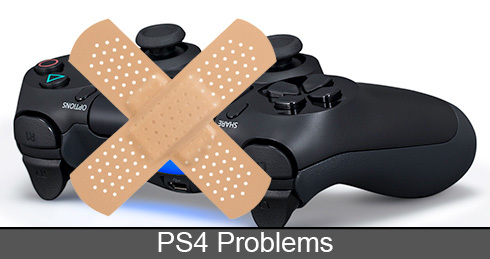 Unfortunately, we will most likely see this same problem with the PlayStation 4, as developers need to get used to the PlayStation 4's new hardware and software features. The social aspect of the system in addition to the controller's touchpad is a new frontier for many developers: expect to see a lot of experimentation to find out what works and what doesn't. Longtime PlayStation 3 fans will remember many developers integrating SixAxis motion sensing into their games, such as using the controller in Uncharted to throw a grenade, with poor to mixed results before developers realized what worked and what didn't. Expect that same learning curve with the PlayStation 4. On the whole, the PlayStation 3 had a relatively smooth launch with issues that you can attribute to Sony reinventing the PlayStation hardware and software. With the PlayStation 4, much of the technology is the same; this launch should be smooth and mostly error free, enabling all PlayStation 4 fans to spend more time playing and enjoying the features of the system. I'll tell you what they should do to make the system backwards compatible. That is not have all this junk on the system that most of the people don't like. If someone wants it, then they should go to PSN and download it. I don't use Netflix for my PS3, I don't even use TV/Video Services, Video, Music, Photo, and half of the settings under the Settings Menu. Get rid of that junk for the PS4 and then it can be backwards compatible. That is like the number one thing people want and that is backwards compatible. I don't like the the way they only have the PS2, and the first PS3 backwards compatible. It is better to have backwards compatibility then have a system that very close like the Xbox Done. Hmm. I want to play a ps1 game... Should I spend $300+ on a new console? Oh wait I already have a ps1! Backwards compatibility? What next a coal powered prius? When I buy a new console, I want new software. Its bad enough that all we are getting is sequels to old games. (and not very good ones at that) I enjoy my old games, but I already paid for those systems, I'm not paying for that again. What happened to new consoles being new? Have we reached the limits of entertainment? My son can play online with his ps4 but he cannot play people on his friends list is there a simple solution to the problem? Fcuk ps4, switching to Xbox. And there are at least 20 ppl I know, who's switching also. There is a new problem now, nw 31456 9. Download did not appear, but you took $ for it. I spent a lot of money on a download and never received it. How can I get download or money back. NOT ENOUGH FREE MEMORY SPACE AVAILABILITY ON THE PS4. I'M ALWAYS GETTING KICKED OFF THE INTERNET IN THE MIDDLE OF DOING SOMETHING...EMAILS AND SO FORTH. HOW CAN I FIX THIS ISSUES? I KEEP DELETING COOKIES, BUT IT STILL KEEPS HAPPENING. HELP PLEASE. My playstation 4 continues to eject CDs for games and will not read them. I haven't been able to use it for a long time now. I've researched sony website to find out how to repair the issue and completed the tasks they tell you to do. The trouble shooting did not work with any success and I continue to experience the problem and cannot use the game. I play the game and then it stops brings me back to the main ps4 screen and when I try to put the game back in, the system doesn't take it and then I have to restart the system!!!! It will play the game but only for a period of a while but I'm afraid it will keep doing that!!! !